One of our top travel trends for 2017 is exploring Cuba. For Americans, the opportunities to travel in Cuba are just opening up. For others around the world, it is believed to be the last chance to visit the country before tourism takes hold and makes significant changes. 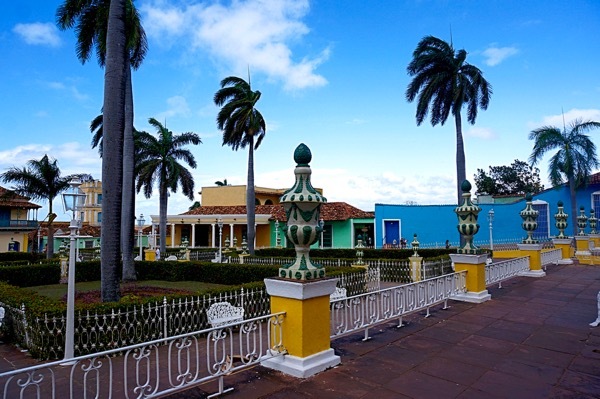 Whether you want to see the beautiful beaches and landscapes, walk through the busy bright streets of Havana, listen to live music and watch salsa in Trinidad, or smoke a cigar on the plantation in Vinales, there are so many reasons to take a trip to Cuba. 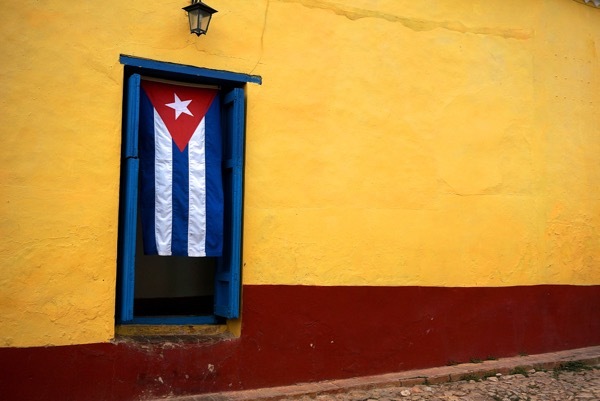 For many, especially Americans, Cuba has been a mystery. This can bring many concerns on traveling there. If you’re a solo female traveler and considering taking a trip to Cuba there are a few things you should know. 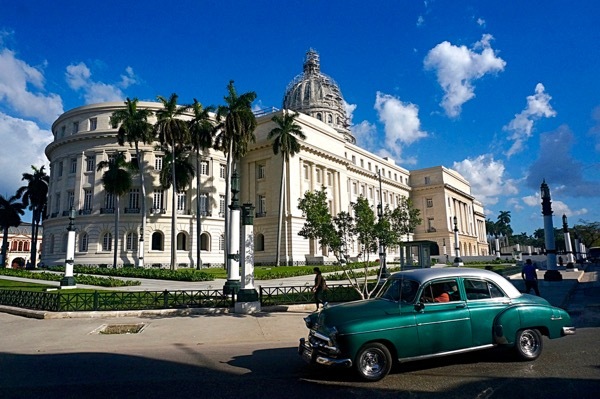 There are a couple ways to get travel in Cuba. First is private taxis. If you aren’t worried about your budget this is an easy and safe way to get around. It’s about $25 CUC to get from the airport to Central Havana. To get around the island rates are normally over $100. You’ll always want to agree on prices ahead of time and research what they should be. As you’re traveling alone, it’s nicer to split costs. Thankfully, in Cuba, they have what is called a cCollectivo. A shared taxi, that will take you between cities. 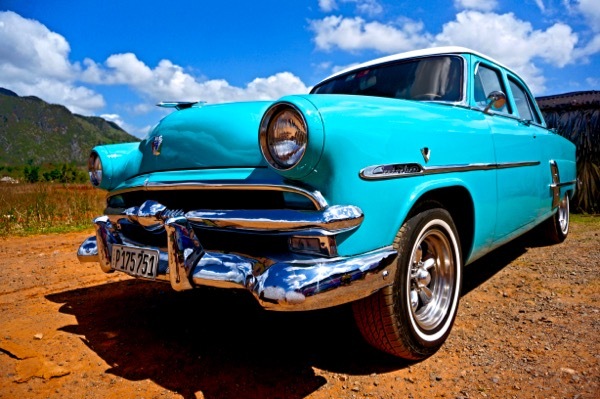 An example is between Havana and Trinidad it costs $30, compared to the $150 in a private taxi. If you’re alone it’s a great way to meet other travelers and save on costs. You can book through your casa host or at the hotel tour desks. Finally, there is the Viazul, the tourist bus. This is an affordable option but takes longer than the collectivo. They run on time and are safe. But from Havana and Trinidad the cost is $25, only $5 less than a collectivo and takes at least 2 hours longer. Cuba has both hotels and guest houses called casa particulars. The hotels can be convenient, but often don’t have the luxury you’re used to expecting for the prices they cost. The casa particulars can ofter as good amenities with only a percentage of the cost, plus you get a chance to live with locals. The other perk to the casas is they can be booked easily on Airbnb. This means you don’t have to bring cash to pay. Also, you can read reviews of past visitors. As a solo female traveler, this allows you to find an affordable place (often only $20-40 a night) that you feel comfortable staying it. You can read reviews of the host, room, and the area you’ll stay in. Cuba is filled with lively locals and travelers from all over the world. You can find people to chat with at bars, restaurants, and cafes. If you don’t speak much Spanish though, this can be more of a challenge. If you’re looking to meet other English speakers a great way to do so is hop on a tour. This can be a day trip or even just a walking tour of the city. Also, taking the collectivos is a nice way to meet fellow travelers. Another perk with Airbnb is they’ll note if the host speaks English. If they do, you can learn a lot about their experiences and life. 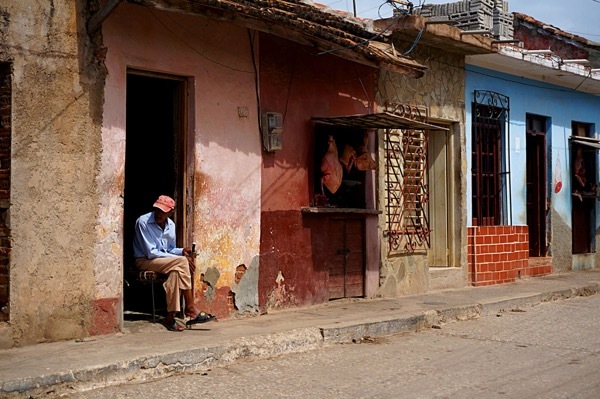 There is a lot of poverty in Cuba but it is a misconception that it means Cuba is an unsafe place. In many ways, Cuba is a safer place than both tourist destinations and other Latin American countries. The crime rate in Cuba is instead very low. You won’t have many pickpockets to deal with. And other than people trying to get you to take a taxi or tour at a little higher price, you won’t find too many scams. As a woman traveling alone, you will likely receive some comments and even be approached by men, but not in an aggressive way. Instead, you’ll be asked to get a taxi or even if you want to go dancing that night. Feel free to ignore or dismiss any of these people, that is unless you want to go dancing. 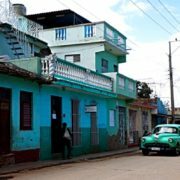 Is Solo Travel in Cuba Okay? Yes! 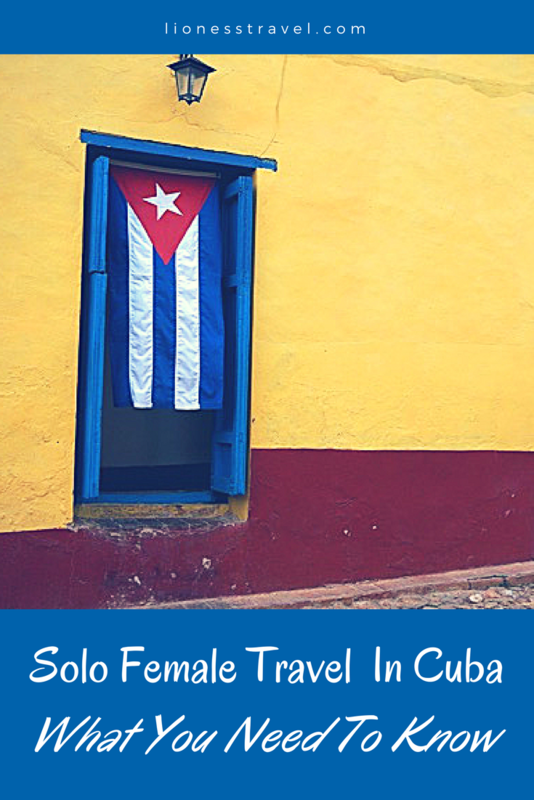 If you are thinking about solo travel in Cuba don’t let others concern make you hesitate. While you should do your research and need to be aware of your surroundings there is no reason why you shouldn’t take a solo trip to Cuba. Or if you’re not so sure about traveling solo, find another female traveler to join you on your journey. Take the chance to explore a country filled with beautiful places, people and culture.